Trent University is pleased to announce that Dr. Rita Bode, an associate professor in the Department of English Literature since 2003, has been appointed the Associate Dean — Trent in Oshawa. In a related appointment, Dr. Robin Lathangue, Head of Colleges, has been appointed Principal of Julian Blackburn College in Peterborough. The Associate Dean – Trent in Oshawa is a new position located at the Oshawa campus that reports to the Dean of Arts & Science and supports the Dean in matters of academic planning, programming, staffing, and student support at the Trent campus in Oshawa. Key elements of the new position include academic programming in Oshawa, the administration of Trent in Oshawa, and day-to-day liaison and discussions with Durham College and University of Ontario Institute of Technology administrations. The Associate Dean – Trent in Oshawa will be a member of the Undergraduate Academic Policy Committee, Faculty Board, and Senate, will chair the Learning Partnerships and Academic Outreach Committee, and will represent the interests of Oshawa faculty, staff, and students at Trent. 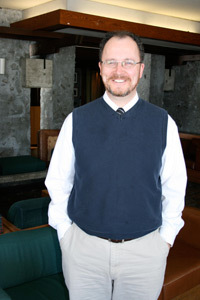 "I am delighted to be selected to this new position in Oshawa," said Professor Bode. "I look forward to working with faculty, staff, students, and senior administration to continue to build on the strengths of the program in course delivery, the range and mix of courses, and student life at the Oshawa campus." Prof. 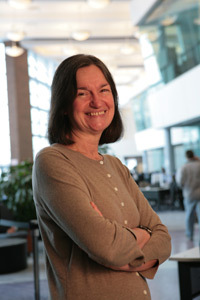 Bode received her Ph.D. from the University of Toronto in 1984 and has been a full time member of the Department of English Literature since 2003. Her teaching experience includes time at Laurentian, University of Toronto, Ryerson and Trent. Her administrative experience includes most recently her term as the President of the Northeast Modern Language Association. Prof. Bode earned her B.A., M.A., and Ph.D. degrees from the University of Toronto. Her current area of research is nineteenth-century American women writers, especially in a transatlantic context. "Rita has an outstanding reputation as a teacher at Trent in Oshawa and was one of the first tenure track appointments there in 2003. She has an exceptional grasp of the complex relationships between Durham College, UOIT and Trent", said Dr. Christine McKinnon, Vice President Academic and Dean of Arts & Science. "We are very pleased that she has accepted this position." Several of the responsibilities of the new Associate Dean – Trent in Oshawa portfolio were formerly assumed by Murray Genoe in his position as Associate Dean Part-time Studies and Continuing Education and Principal of Julian Blackburn College. “I would like to take this opportunity to thank Murray for all his outstanding work on behalf of students, staff, and faculty at Trent in Oshawa and at Julian Blackburn College. We wish Murray all the best in his retirement,” said Dr. McKinnon. For further information about Trent in Oshawa, please visit the website.